Today is my turn to show you a little creation made with those gorgeous pearl flourishes from The Hobby House. 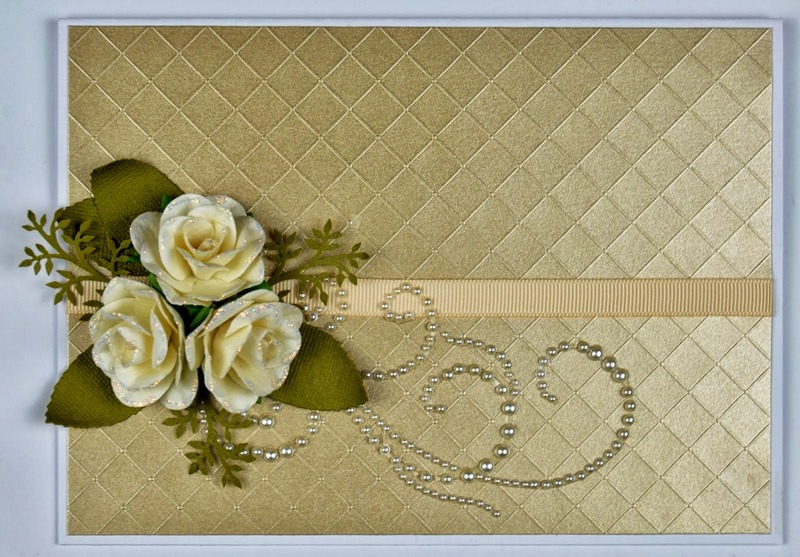 I have made a very simple card using large Mulberry Roses and a gorgeous Pearl Flourish (both available from The Hobby House). Hope you will join in with our current challenge over at The Hobby House which is all about Pearls - the prize is a £25 voucher to spend - woohoo!! !